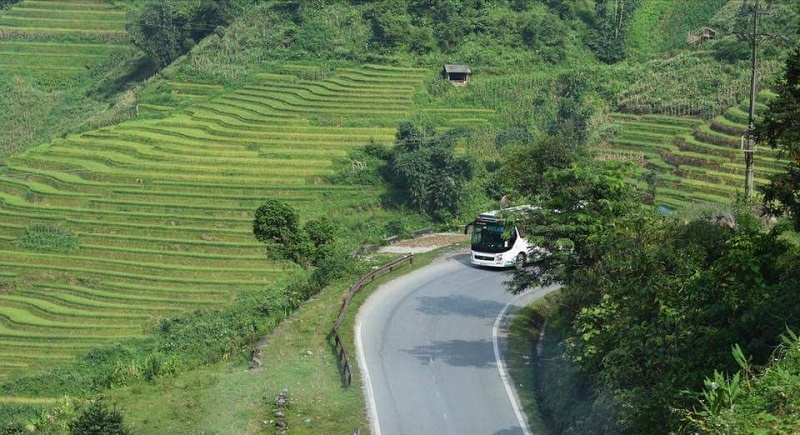 The tour designed by Paradise Indochina Travel for travelers who want to visit both the most popular travel sites in Sapa and Bac Ha market on Sunday and only starts on Saturday from Hanoi. Our tour will be started at 21:00 at the lobby of the hotel. Our guide will pick you up and transfer to the Hanoi Railway station for the night train to Sapa. 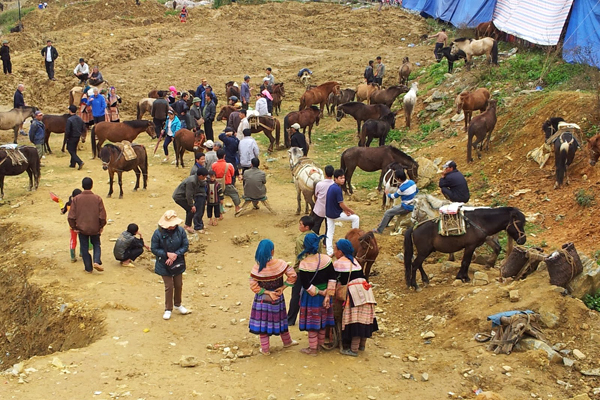 Pick you up at Lao Cai train station, transfer to Bac Ha town. You have breakfast on half way. 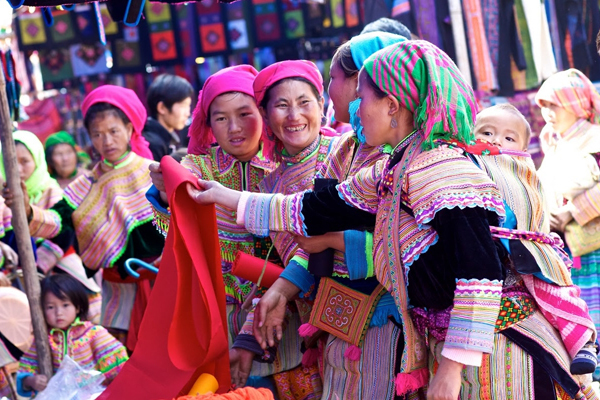 Located at 110km from Sapa, Bac Ha mountain town is well-known by travelers with the most colorful market of the hill tribes in the North of Vietnam. This every-Sunday-market attended by at least 8 ethnic groups and last from 9:00 AM until 2:00 PM. It is also chance for tourists to discover the H’mong King’s palace (old building built by the French & Chinese). 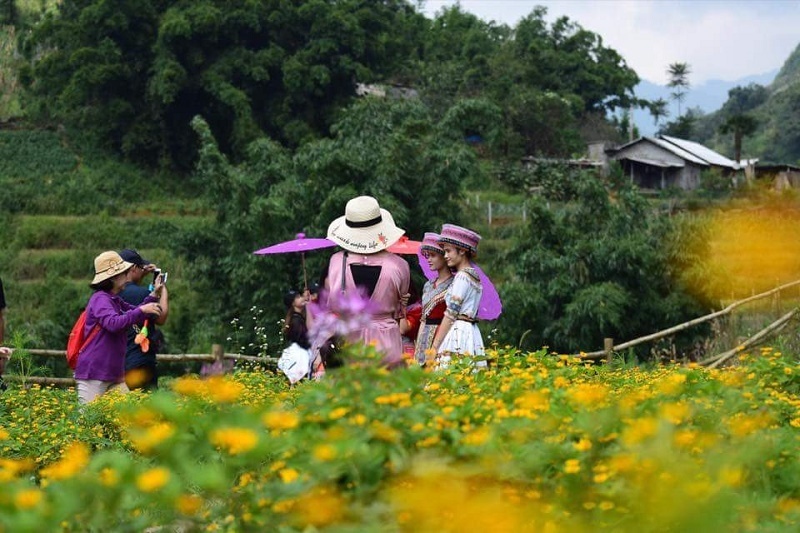 In the afternoon, we go for a light trek to visit Ban Pho, the village is home to flower H’mong minority. 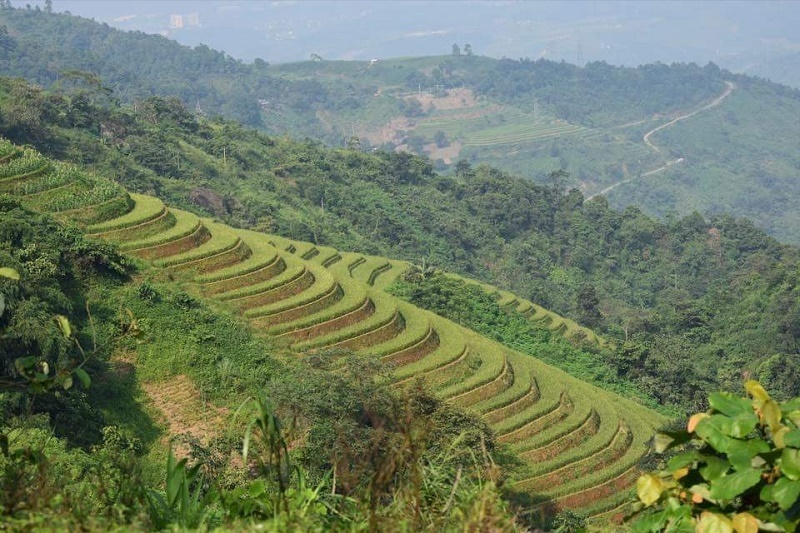 We are invited to enter several local houses to have some green tea, corn wine, listen to the host talking about their family, talk to them… and then enjoy landscapes on a roundabout way to Bac Ha for get back to Lao Cai to continue up to Sapa. Breakfast at hotel. Early departure from Sa Pa at about 08.00am. 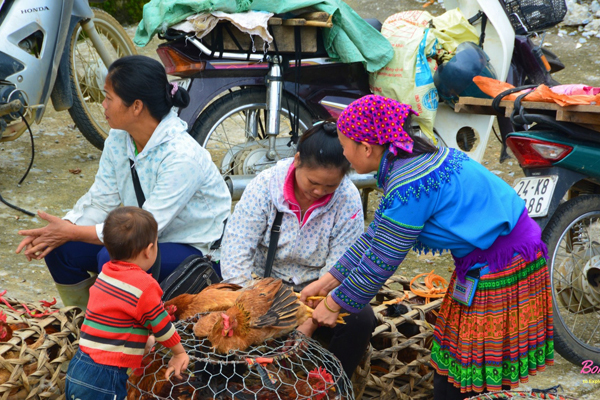 You first sneak through the Sapa market and leave the busy town behind. After a couple of minutes, you follow a road going downhill to Cat Cat village. 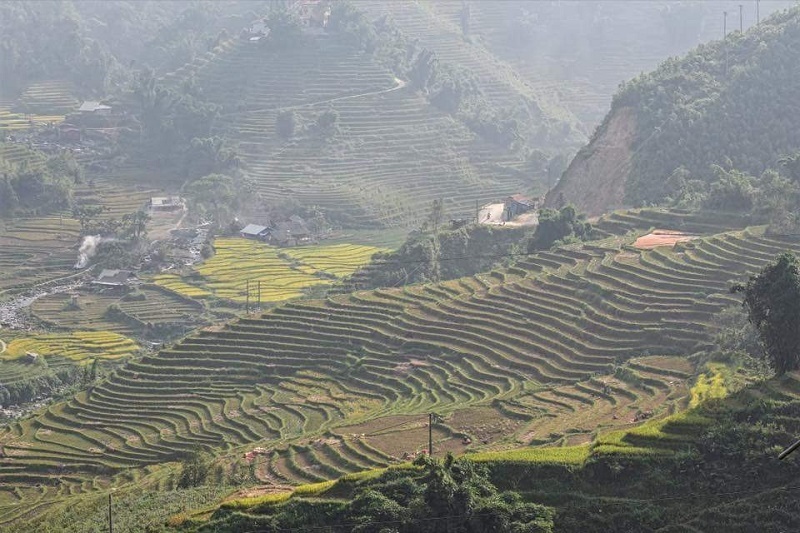 You will stop by a waterfall and a hydroelectric station for a while before continuing the trek on a dirt trail through rice paddy terraces. You also will enjoy spectacular scenery while walking along a narrow river. You eventually arrive in Y Linh Ho village of Black Hmong minority, where you can take a rest while you are served lunch nearby the river. 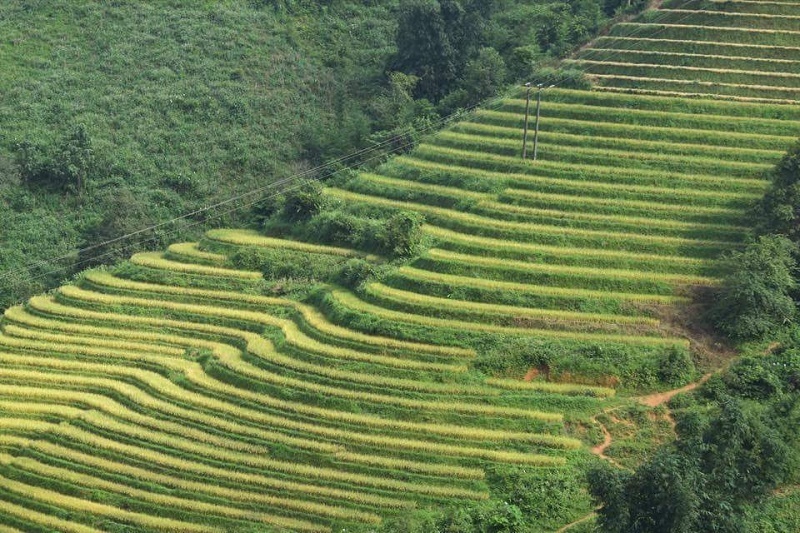 You will return Sapa from Tavan by car. Then, transfer back to Lao Cai for overnight on the train. Up on arrival in Hanoi very early in the morning and you will be transfer to your hotel. End of service. Pick up at Hanoi Hotel to Hanoi Train Station.